Many players in previous and current Sharks squads will remember Koji Watanabe who played for the team from 2010 -2012 and did an outstanding job as club Treasurer. When he joined the club, like a lot of Japanese players, he had never played the great game before but with patience and a keen willingness to learn, he pretty soon turned into a handy player. A good eye saw him knock a few runs and in the field he regularly picked up Best Fielder points. Bowling though, was the last great hurdle to overcome as it feels so unnatural and ungainly for players brought up on baseball pitching. Well, after leaving the Sharks for a stint down under, it would appear that the Koj has mastered that too! As a new captain this season, the juggling of multiple duties on field has been a challenge. 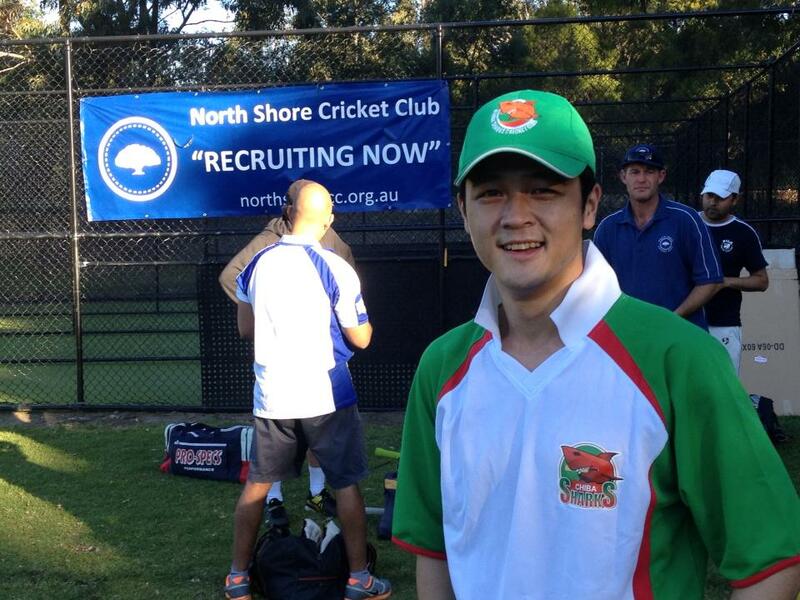 He’s the Japanese guy in the 5th or 6th net at training bowling to no one. The guy with a distinctive “bow” before he starts his energetic bounding run up and owner of an overly stiff batting technique (we are still working on it!). He has barely missed any training sessions and always works as hard as Alex Gan at a maths exam. 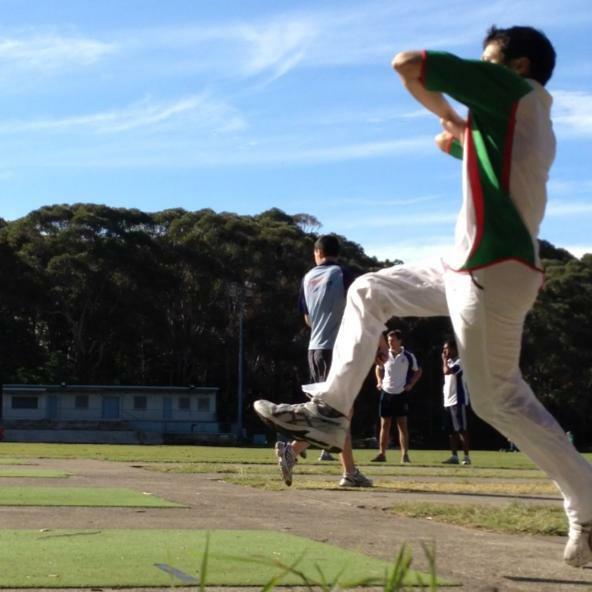 On Saturday we played the fully subcontinental Chatswood Gypies White. Fresh of a win over Neutral Bay, they were easily favourites. We lost the toss and bowled first. We had a weakened bowling line up with Tim “Semi Pro” Rewell and the Gibblet unavailable. Secondly it was Koji Watanabe leading the attack with 4/38 off his 7 overs! Every wicket he took, a combined feeling of joy, adulation, and of course stone-cold surprise ran through the team, more so with each wicket! In the end we dismissed chatswood for 231 in 33 overs. With better catching and more controlled bowling, this could have been 175.. Unfortunately the Layabouts’ weekly habit of middle order collapses made an appearance. We lost 7/57 to slump to 7/82 in the 22nd over. Fresh from his HSC maths exam and in his first bat of the year, Alex “the train” Gan, crafted a great partnership of 98* with yours truly, and we ended at 7/180. Alex fell agonisingly short of his maiden half century with 49*. It was a case of what could have been…our best total of the year co inciding with our worst bowling performance..
Good on you Koji mate! Hopefully you’ll consider rejoining the Sharks attack if and when you return to these shores. In the meantime, the Sharks wish you good luck for you and North Shore CC.